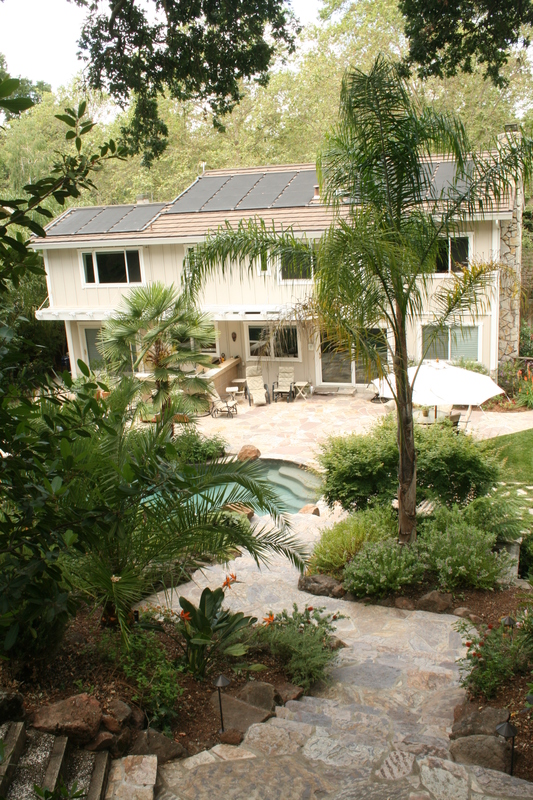 Well thought-out landscaping ideas provide the foundation for a quality landscape design. Suma Landscaping’s designer will work with the client to conceptualize a design that will meet their needs while also creating an attractive environment with consideration for your budget. Some ideas for landscape design to consider are the intended use of the garden, local conditions and the proposed budgets for the landscape plans and landscape installation. Ideas for landscaping projects should always take into account the level of ongoing landscape maintenance that would later be required after installation of the proposed design. The first step in any landscape design project is the development of a conceptual plan. 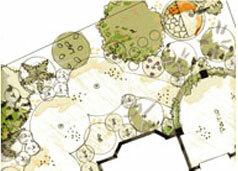 Conceptual landscape plans are a key step in the process of translating the client's vision. 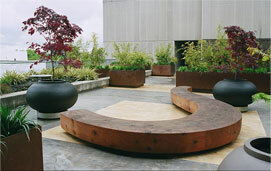 It also enables the client to know exactly what to expect from the landscape designer at Suma. Once all landscape ideas are communicated, we select plants, identify construction details, and determine the scope of the project. 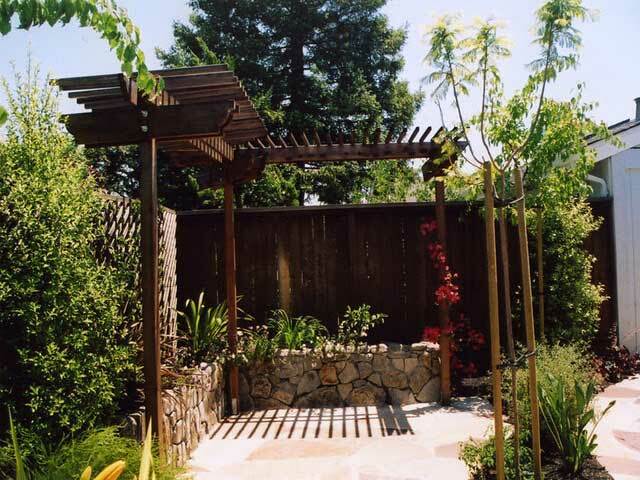 You can use various garden structures such as garden arbors, gazebos, pergolas or shade structures to provide areas of visual interest, as well as a structure for shade or a support for growing decorative vines. Arbors can be used to formalize an entrance, separate areas of the garden or add an element of design to a simple garden. A gazebo can help create a quiet tranquil sitting room in the garden. 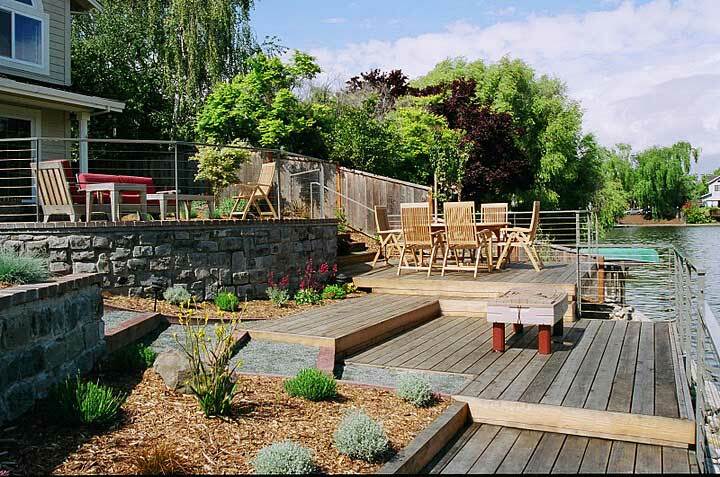 Decks may be useful in turning an otherwise unusable area of your yard into an integral part of the garden. They can be used to extend a home or office into the garden, or perhaps over a waterfront or rooftop. Decks are usually custom designed by our contractor to fit the landscape and may have other structures, such as railings, benches, planters or arbors easily incorporated into them. As an experienced deck builder, Suma knows that decks are also one of the most cost effective ways to provide a level area on a steep hillside. 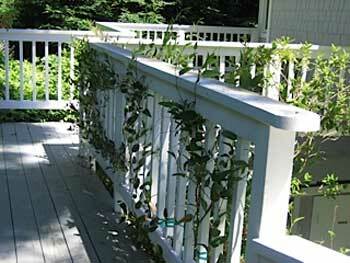 Materials for decks include various types of wood or new materials such as Trex, which may be used where a durable, longer lasting material is desired. Patios provide a useful space for congregating in your garden. Flagstone, pavers and brick are some of the common materials used for patio landscaping. Concrete surfaces may range from simple broom finish and exposed aggregate to some of the new types of decorative stained or stamped concrete finishes. For areas with limited door clearance, a decorative concrete overlay may be just the thing. It's important that the design and construction of your patio takes into account the environment in which it's being placed. Soil type and underground conditions that could potentially have a long-term effect must be considered when designing and constructing these landscape structures. For example, expansive soils have been known to cause excessive cracking in hardscape patios. Adding planter pots, benches, patio furniture, water features, outdoor kitchens, BBQ and fire pits are some patio landscaping ideas that can help turn your patio into a "room" within the garden. 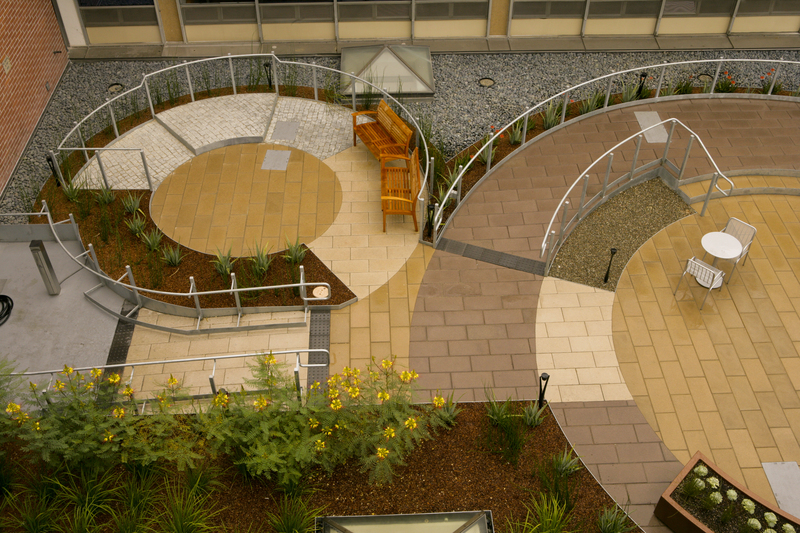 Walkways not only give you access through a garden but should also play an integral part in your garden design. 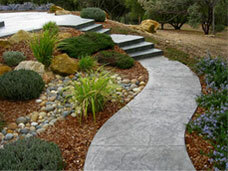 Whether an informal gravel or decomposed granite landscape walkway guides you down a sloping hillside, or a formal hardscape walkway design, the type of walkway you choose should complement the overall design of your yard. Some examples of the types of materials for your walkway design include brick, flagstone, exposed aggregate or stamped concrete. For a walkway with expansive soils where a rigid structure is likely to crack, a material such as decomposed granite with natural stone insets might be used so that the landscape walkway can be graded again when movement has occurred. Retaining walls can be built as decorative seating or for soil retention. The type of material specified in a retaining wall design is usually determined by the appearance desired as well as the longevity of the material in a particular environment. Concrete retaining walls are becoming more common. A wall may double as the foundation for fence designs or could be designed to match the house and help tie it into the garden. Walls may also be integrated with stairs, lighting and benches for that special touch. 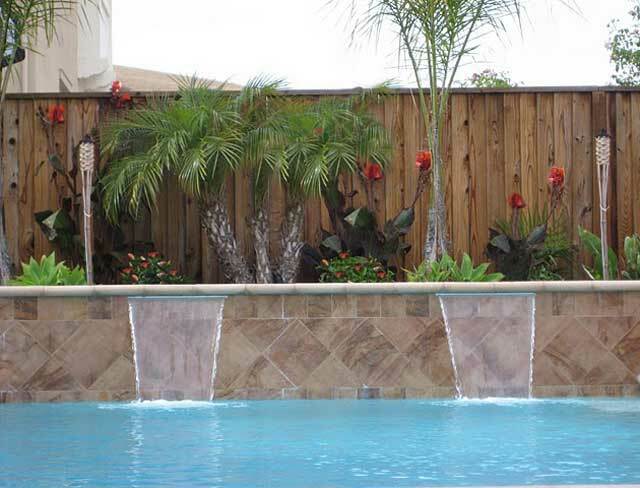 Suma Landscaping is also a professional fence installation company. We can help design garden fencing that enhances your space while providing privacy and security, or simply serves as an open element that complements the surrounding natural landscape. Our fence designs may also incorporate a trellis or arbor for additional height or to provide a growing structure for colorful vines. The style of your fencing design should be compatible with your garden design and the use intended for the fence. A "good neighbor" fence looks the same from both sides and may be a friendly way to provide privacy between you and your neighbors. Copyright &COPY;2018. All rights reserved.